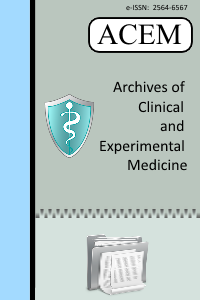 “Archives of Clinical and Experimental Medicine" (ACEM) is an open-access, independent, double blind peer-review medical journal published online three times a year (April, August, December). It aims to publish qualified scientific experimental and clinical studies on health sciences in English language only. It aims to publish qualified scientific experimental and clinical studies on health sciences as original articles, case reports and reviews. "Archives of Clinical and Experimental Medicine" is indexed by TUBITAK ULAKBIM (TR Dizin), Directory of Open Access Journals (DOAJ), CrossRef, Google Scholar and Turk Medline. The current acceptance rate of ACEM is 41.4%. The current length of editorial evaluation and publication are 96±244days and 46±31 days, respectively. There is no publication charge for submitted and published articles. 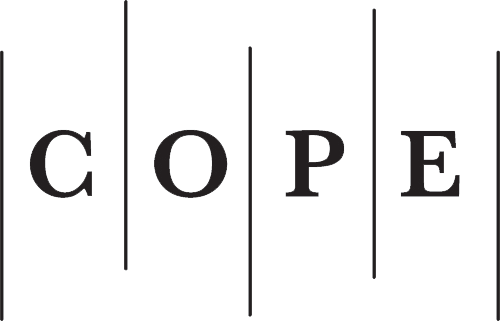 Every published article is provided with Crossref - DOI (Digital Object Identifier System) as abbreviated by 10.25000/acem. Can the quick Sequential Organ Failure Assessment (qSOFA) score, combined with plasma lactate concentration, predict the mortality for patients with infections in the emergency department? Intragastric balloon therapy for obesity: Is it safe and effective? Is gestational diabetes a risk factor for neonatal hearing loss? We would like to express our sincere thanks and appreciation to academicians who performed reviews of the scientific papers submitted to the Archives of Clinical and Experimental Medicine (ACEM) journal in 2018. Please click to see Reviewers in 2018. ACEM is hosted by TUBITAK DergiPark, and is licensed under a Creative Commons Attribution-NonCommercial-NoDerivatives 4.0 International License.